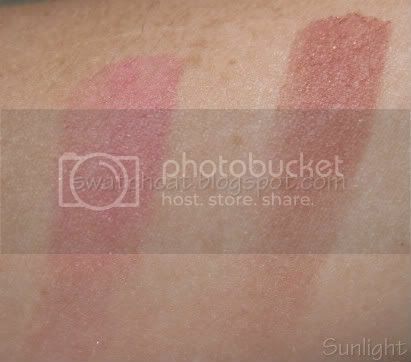 I've had my stuff for nearly two weeks and I'm just now getting around to swatching. I thought I would have time while on vacation, but it was cloudy and rainy when I did have down time. I know pretty much everyone in the U.S. has their goodies already, so this old news, but better late than never. Plus, I know our friends to the north are still awaiting this collection with baited breath, so for them, this relevant. 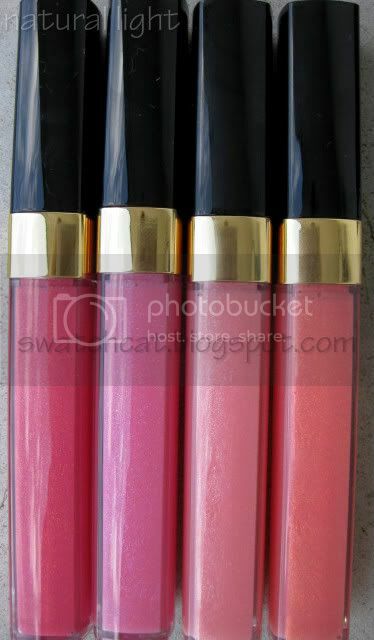 I picked up all four Glossimers (Pink Teaser, Rose Dilemma, Petit Pêche, and Coral Love), Chintz Rouge Allure, Taupe Grisé Soft Touch Eye Shadow, Pink Explosion and Rose Temptation Joues Contrastes, and Paradoxal Le Vernis. 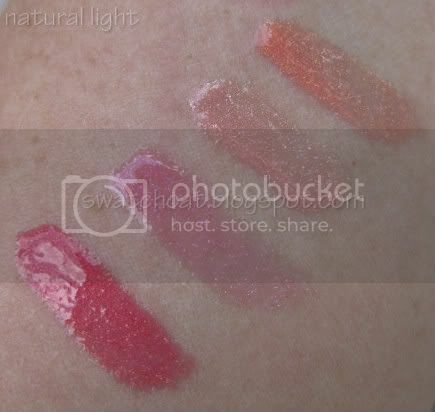 I will post separate swatches for Paradoxal, so check back for those. I passed on Enigma Quad because it's permanent, but I will get it sometime in the future. Just need to free up some funds, first. 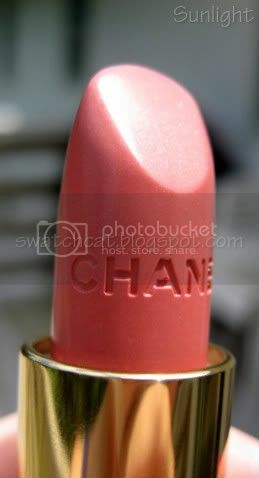 I found this collection to be full of gorgeous colors, and one of the better ones that has Chanel released. It was hard not to purchase this entire collection. 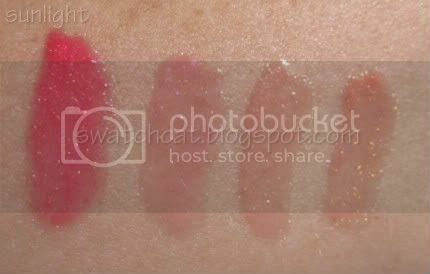 Product pictures, descriptions, and swatches after the jump! 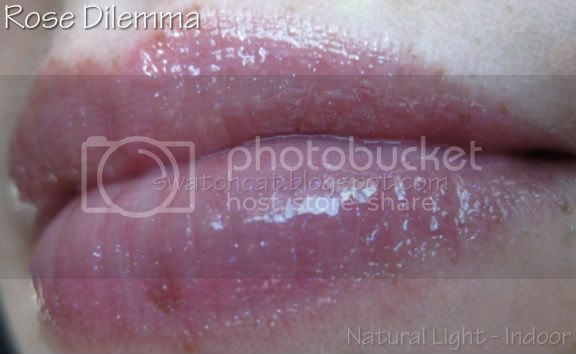 The last several new Glossimers have all been sheer, but packed with plenty of sparkle. 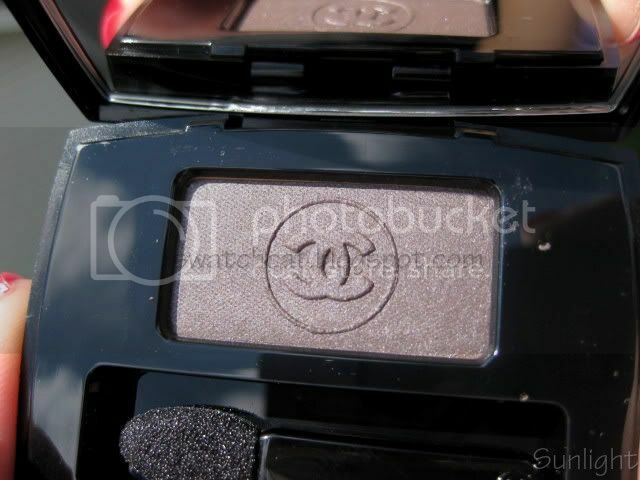 It seems like Chanel is mostly continuing that trend this fall, as three are sheer and sparkly, and the other is more pigmented...and sparkly. 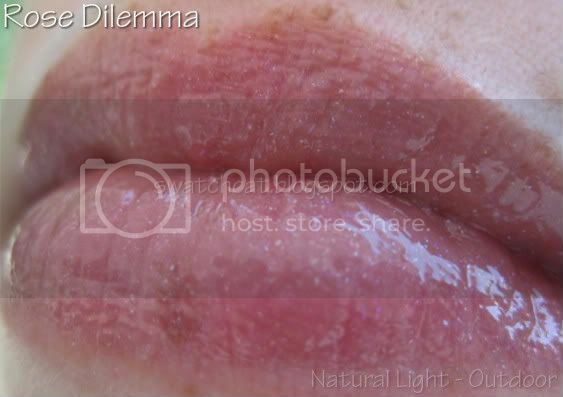 All four Glossimers are limited edition. 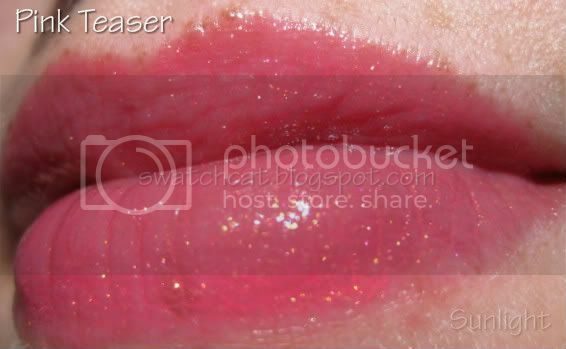 Pink Teaser is a warm, bright pink with pink and gold microglitter. 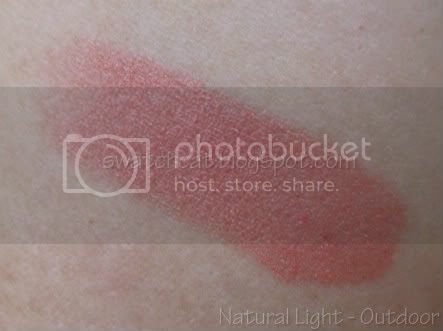 It is the least sheer of the four, packing a nice punch of color with just one swipe, and it is buildable to a pretty punchy, pink pout. 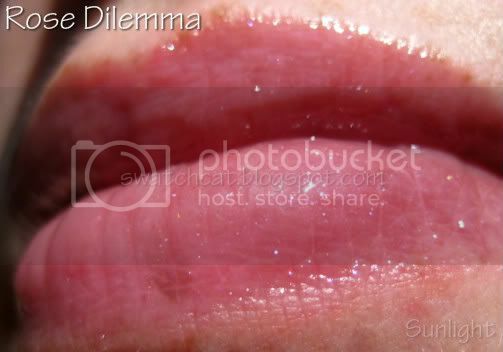 Rose Dilemma is a cool, sheer, milky pink with silver and violet microglitters. 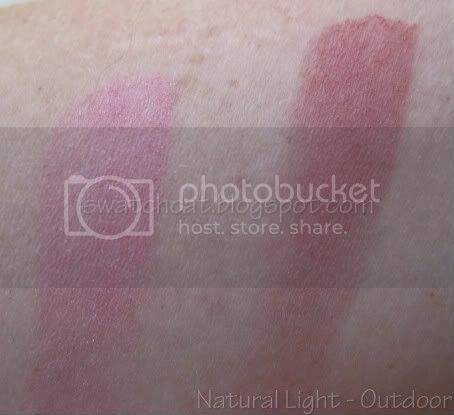 It, along with Rose Dentelle Rouge Allure (which I did not get) is what was used in the promo for the collection. I wish the base showed up better, but I still love it. One of those glosses you can slap on and head out the door. 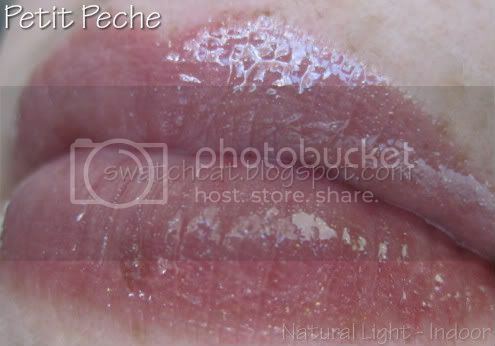 Petit Pêche is a cool, sheer milky peach with silver and gold microglitters. It is the peach version of Rose Dilemma, and my thoughts of it are the same as Rose Dilemma - wish the base showed up more, still love it, slappable. 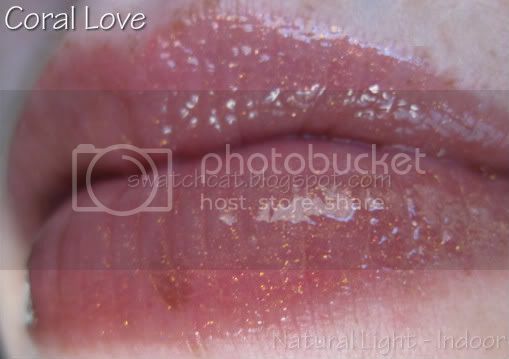 Coral Love is a sheer, shimmering coral with lots of gold microglitter. 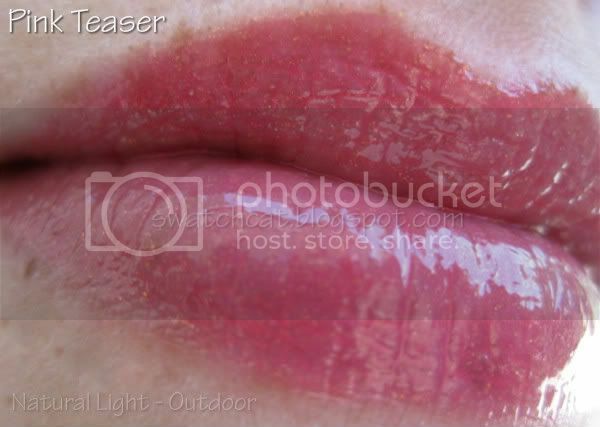 It's not quite as sheer as Rose Dilemma or Petit Pêche, but still sheer. It's also the most glittery out of the bunch. 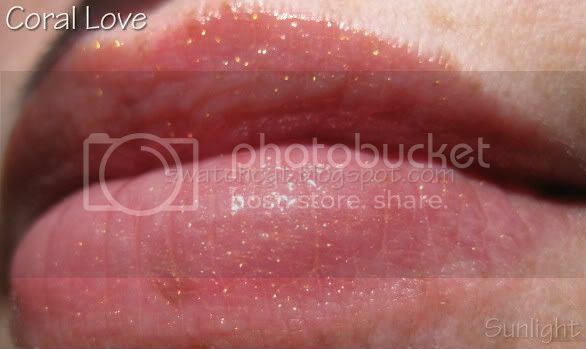 I had lots of gold glitters left on my lips from it. 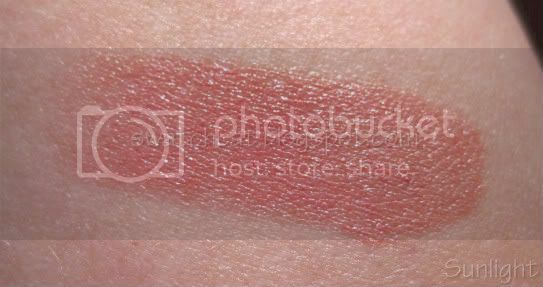 Chintz Rouge Allure is a pretty pure peach with just a little subtle shimmer. 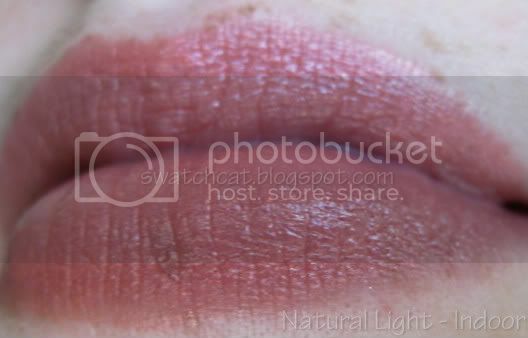 The slight shimmer gives this lipstick a satiny look. It not sheer, and even borderline bright, going on full-color in just one swipe. 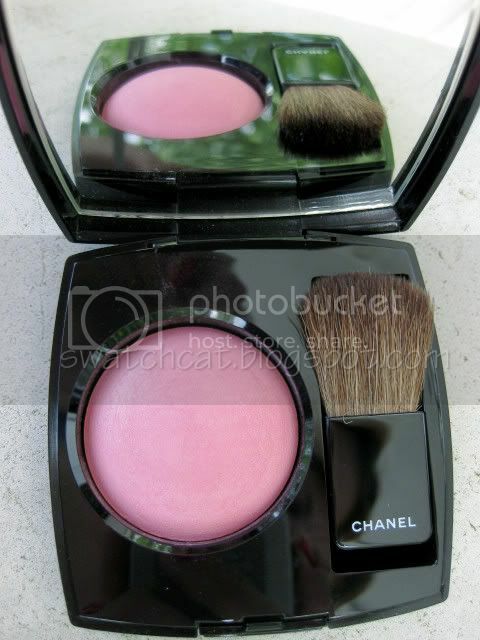 Chanel introduced three new Joues Contraste Blushes with this collection, of which I purchased two, Pink Explosion and Rose Temptation. The formula of these blushes are the European formula, rather than the U.S. formula, meaning there is no mineral oil and they are baked. 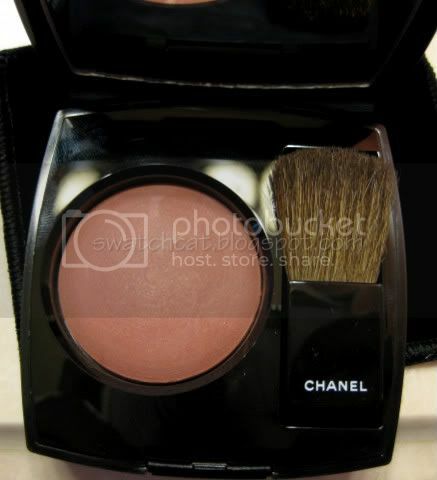 Some people found these blushes to be more powdery than the U.S. formulated ones, but I couldn't tell the difference. 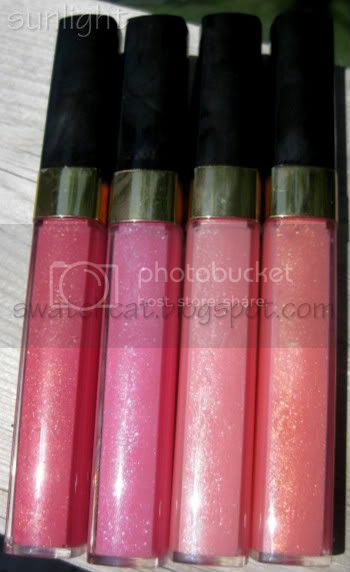 Pink Explosion is a bright, candy pink with fine silver shimmers. 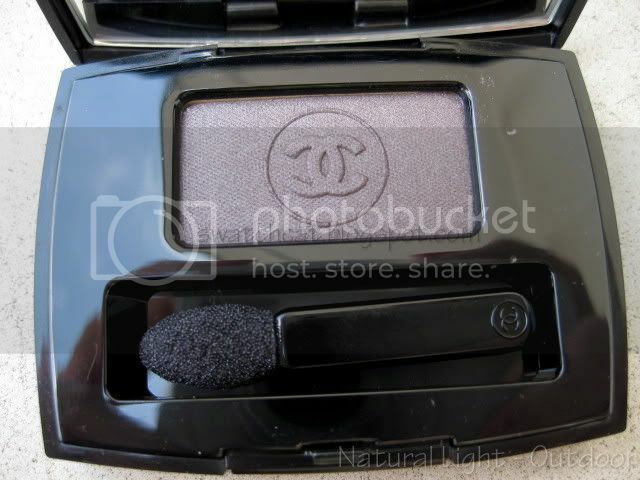 As with most Chanel Blushes, it is quite pigmented, and gives a very pretty pink flush, with just a hint of sparkle. 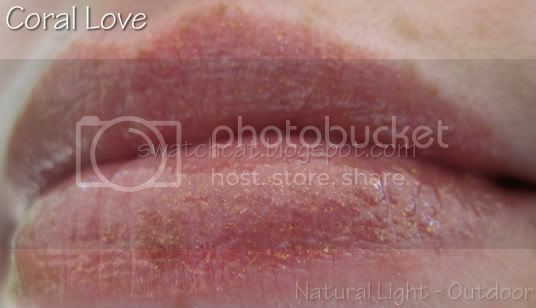 Rose Temptation is a dusty, neutral rose with very fine gold shimmers. 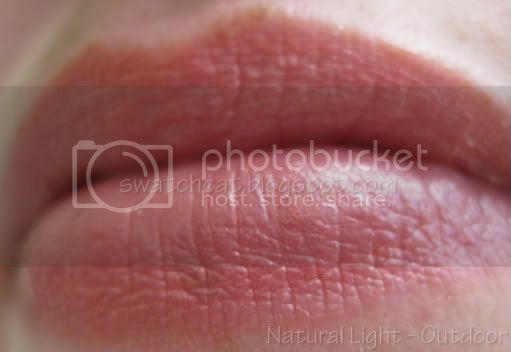 As stated above, it is quite pigmented, and if you're pale, you'll need a light hand with this one. 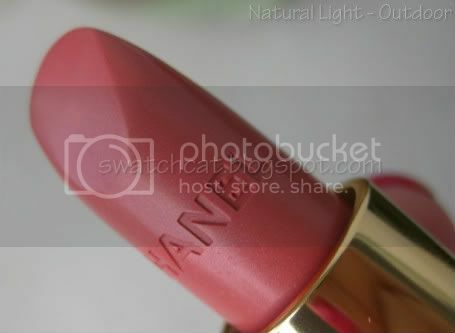 Nevertheless, it gives a really pretty neutral flush, with just a hint of pinkiness to it. Taupe Grisé, ahhhh, such pretty, taupey goodness. Easily one of the stars of this collection. If you love taupe, you do not want to miss this shadow. I'll just let the pictures do the talking. swatchcat D was the only kitty on hand for swatchtime. And he was really only trying to beg for food. 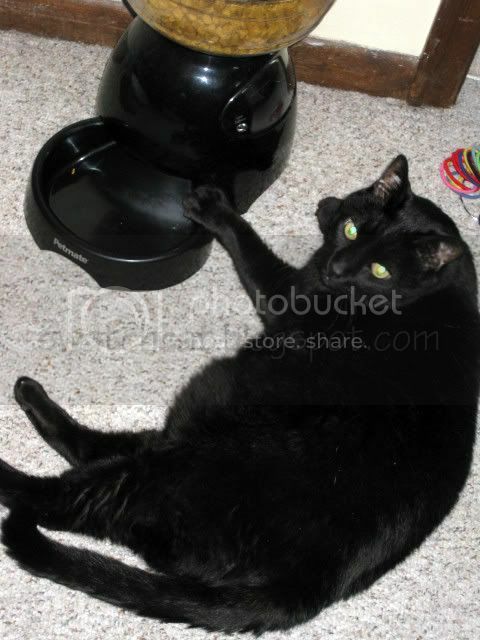 Full on pathetic-kitty with his paw on his bowl. Chanel's Fall 2010 really is one of the best from the past few years. If you're on a tight budget, the standouts are Pink Teaser Glossimer, Pink Explosion Joues Contraste, Taupe Grisé Soft Touch Shadow, and Paradoxal Le Vernis, all of which are limited edition, so don't miss your chance! whoa those are such pretty colors--makes me wish i wasn't so makeup challenged!